and the New South Wales Film and Television Office, A Dalton Films Production. 1997. Director: Gillian Armstrong. 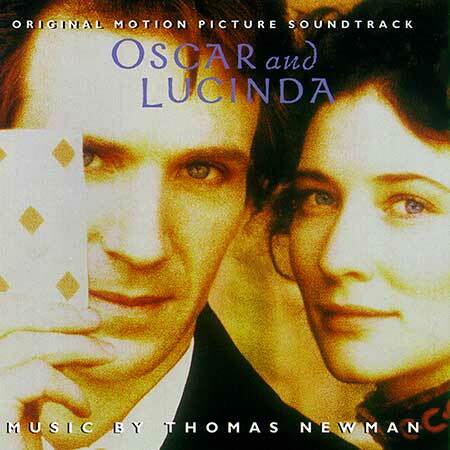 Music: Thomas Newman. CD	(ST)	Sony Classical. SK 60088. 1997. Featuring the Paulist Boys Choristers of California. Prince Rupert’s Drop (Main Title). The High Downs and the Sea. The Murder of the Blacks. Magic Boxes (White Man’s Dreaming). The Seduction of Mrs. Chadwick. Oscar and Lucinda (End Title). Excerpt from the Random House AudioBook (Read by Ralph Fiennes).